Afraid to let your family members use their cell phones overseas? Anytime you leave the country on a family vacation or a cruise, your next cell phone bill has the potential to be astronomical. An international trip doesn't have to break your budget when it comes to your cell phone. First things first. 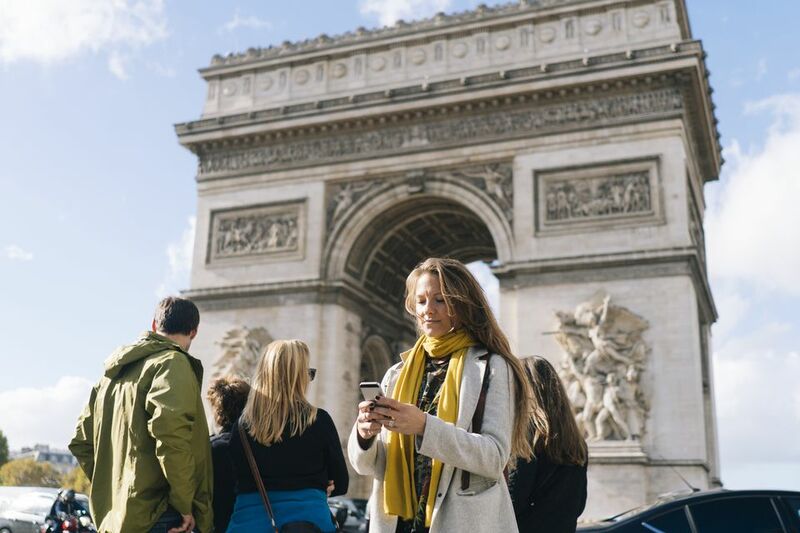 Depending on where you're traveling, your wireless provider may offer an international plan that is affordable for your destination. If you're only spending a few days in Canada or Mexico, for example, it may only cost you a handful of dollars to switch to a different plan temporarily. On the other hand, if you do nothing and simply cross the border, you could end up spending hundreds or thousands of dollars. If your cell phone company does not provide an international plan, consider upgrading temporarily to a plan that gives you more data. You can verify coverage in your destination country and estimate how much data you will need by using tools such as Verizon's International Trip Planner or AT&T's International Travel Guide. Aside from choosing an alternative plan, there are a number of steps you can take to stop or cut back on how much cellular data you use when you are out of the country. Avoiding massive data overages is the key to keeping costs under control. In order to stop cellular data use, you should turn off roaming. To do this, go to your settings, and look for roaming options. Set it to "Roaming Off." This is essentially the nuclear option and shuts off your cellular data entirely when you're out of the country. If you choose this option, you’ll still be able to get phone calls and texts whenever you're logged into a Wi-Fi network or hotspot. But your phone will not send or receive data on networks such as 3G, 4G, or LTE. If you have kids who are old enough for a phone but young enough that you can't trust them to stay off YouTube and Instagram while you're away, this may be the best bet. This feature is only on iPhones. It turns off automatic downloads of new emails and lets you manually download your email when connected to a Wi-Fi network or hotspot, which is much cheaper. The best scenario is if you can live without email altogether, then turn off both "Push" and "Fetch." On an iPhone, in "Settings," go to "Mail, Contacts, Calendars" and toggle off your settings for "Push" and "Fetch New Data." This lets your phone download data only for the apps you want to use without having all your other apps also using up data. The fewer apps you leave turned on, the less risk of racking up hundreds of dollars in roaming charges. On an iPhone, in "Settings," go to "Cellular," then toggle off any individual apps you will not need on your trip. On an Android phone, go to "Apps," pick your app and tap "Disable." By deactivating texting, this stops texts from being billed as data when you're away. When you’re outside the country, iMessage and other calling and messaging apps are treated as pricey data rather than as text messages. If you have an iPhone, go to "Settings," go to "Messages" and deactivate your messaging app (such as iMessage), along with MMS Messaging, and Group Messaging. If you have an Android phone, turn the phone on airplane mode and leave it that way for the entirety of your trip. Before you leave for your trip, if there are some people that you need to stay connected to, then agree to download an app like as FireChat, which allows for live communication within a group even without an Internet connection or cellular network. When you get back home, simply reactivate your texting settings. You should track your usage within the current billing period. As you leave the country, on an iPhone, click on "Reset Statistics" to reset your data usage tracker so you can see your usage for that specific trip. As your usage approaches your max for the month, consider turning off roaming. On an Android, you can set an alert to notify you if your data reaches a certain level. Let family members know that streaming video and movies are banned on your trip. Instead, have everyone download content before leaving the U.S. This allows you to avoid streaming content, which is extremely data intensive and will make your bill exorbitant. Signing up for international roaming plans and data plans aren't the only options. If you think you will need to make a lot of calls and will use the phone extensively, then you may want to consider purchasing a specialized international phone for traveling. These international cell phones often come with reduced data and international roaming rates.